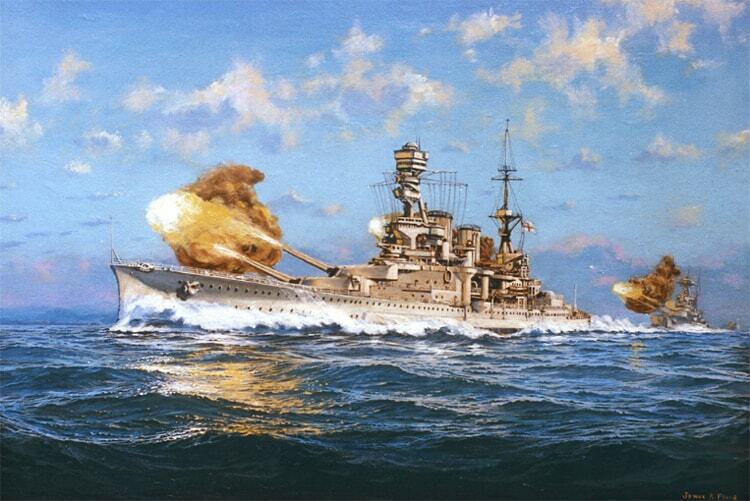 Portrays the elegant British battle cruiser at firing practice during the 1930's. Painted by the artist while on board USS New Jersey during the Vietnam Era. Learn more about this ship from Jim Flood's second painting of her.